Deceased ABS Master Smith, Scott Smith crafted this Period Bowie. 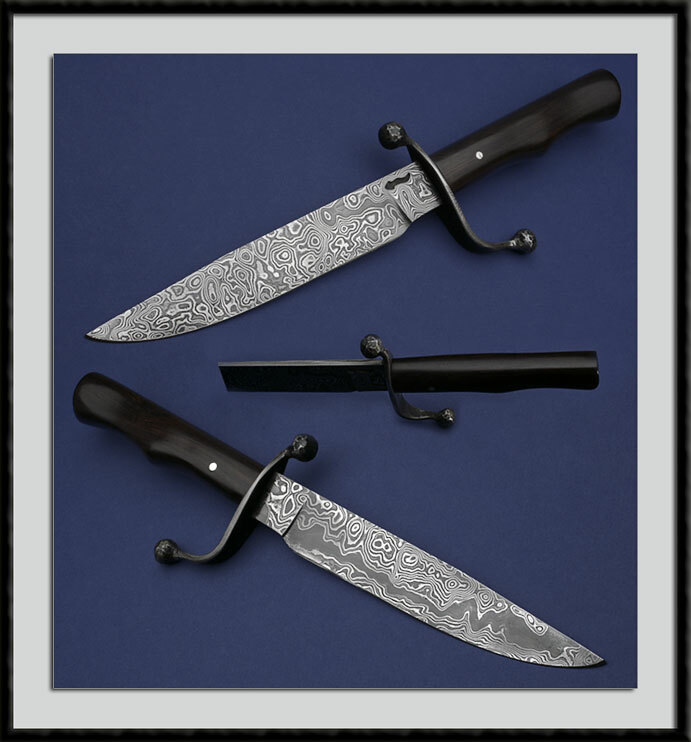 Forged Damascus blade steel, BL = 7 1/4" OAL = 12 1/8", Mild Steel Lazy S guard and a sculpted Ebony handle. Condition is Mint.